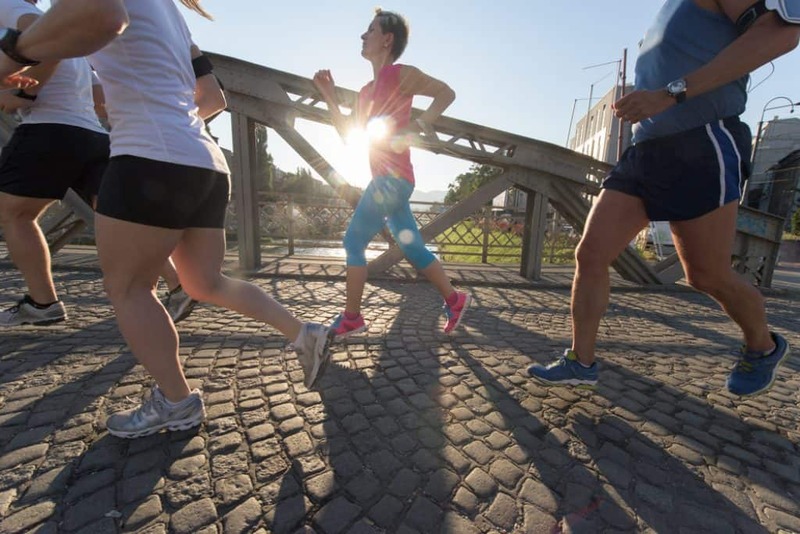 If you’re out of shape, the idea of running may seem daunting. 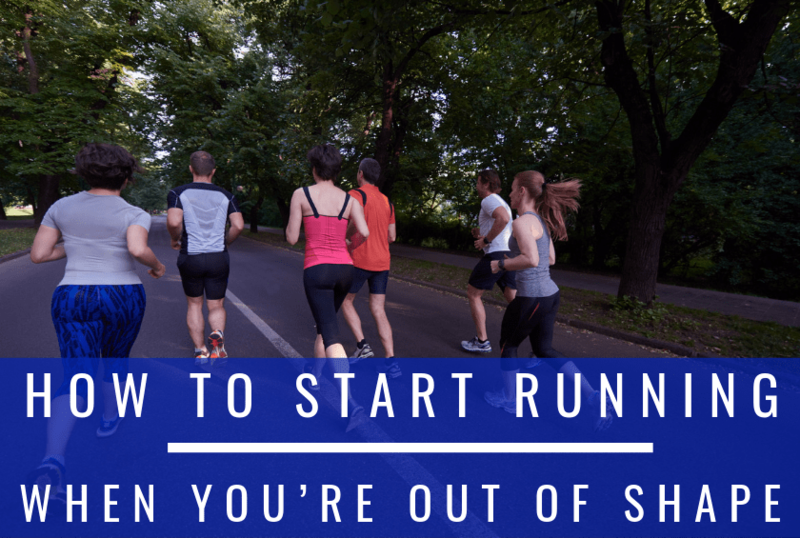 You know that you’d enjoy the benefits of running – a healthier lifestyle or weight loss, to start – but you just can’t seem to get out the door and do it. If you find yourself in this position, we have some pointers to help you start running even if you’re out of shape. The first thing you have to do to start running when you’re out of shape is to figure out your “why.” What motivates you? I’m not great about getting up in the mornings, but I can when I have a big race coming up, and I know that the training is getting me closer to my goal. I don’t always like it, but at the very least I am motivated to get it done. Likewise, you should figure out why you want to run. The more specific you can be, the better. Write it down, as research shows that people tend to be more motivated if they have written down their rationales and goals. Just saying that you want to get into better shape might be too vague of a goal. You may need to figure out something more specific. Maybe you want to lose 10 pounds before your daughter’s wedding. Or perhaps you want to run a 5k to have a sense of accomplishment during a year that has been kind of rough for you. No matter what your reason, if you can figure out your rationale for wanting to run, it will help. That reason will always be something you can go back to when you want to make excuses about not running. I can’t stress this point enough. You might not like to spend money—that’s me!—but shelling out some money for a good pair of running shoes is a great way to keep you motivated. After all, you’ll want to use those shoes that you invested money in! Additionally, a good pair of running shoes will make your walks and runs more comfortable and enjoyable. It’s important to capitalize on anything that will help you get out the door. I personally was a little unsure of spending a lot of money on running shoes, but it is totally worth it! My feet thank me every time I run. And, if you’re someone who appreciates new clothing, who doesn’t like an excuse to wear new shoes? Plus, by the time the newness of the shoes has worn off, you’ll like them, because they are familiar and have gone on so many runs with you. If you don’t want to spend an arm and a leg on shoes, consider looking on the sales rack for good brands, or checking out our list of the best affordable running shoes. This is the most important category when you start running or getting back into shape. You need to have a good understanding of what you can and can’t do. This will help you achieve the greatest amount of success over time. First, start slow. Figure out where you are fitness-wise. If you’re out of shape, you likely will want to start just by mostly walking with 30 seconds of running tossed in here and there. Don’t be afraid to walk 19 minutes of your 20 minute workout and only run 1 minute. You just need to begin where you can. Also, make sure that you’re picking a workout that isn’t too long or too short. Studies suggest that you should exercise for at least 20-30 minutes to get the full benefits. Even if a good portion of that exercising is walking, it’s still better to work out a little longer. With that in mind, you should pick a training plan that is going to suit your needs. There are so many Couch to 5k programs out there on the internet! Some are more complicated than others, but all have the goal of gradually getting you in shape. You could even try taking our 30-day run challenge! This free beginner training program gets you up and running in 4 short weeks. Plus you do it in a gradual way that won’t burn you out. You can get a free copy at the bottom of this article. Most training plans use a run/walk interval. But if all the intervals – running 30 seconds, then walking 90 seconds, then running 60 seconds, etc. – are too confusing, you can always try a very basic plan. Run until you hear your breath, and then walk until you catch your breath, for a total of 20 minutes. Don’t worry if it’s 30 seconds of running to 3 minutes of walking. Just keep an eye on where your fitness is, and don’t push yourself too hard. You will start to see improvement the more you follow this pattern. Finally, keep your expectations realistic. If you can barely run a mile right now, there is no way that you will be able to run a half marathon in two months. But you may be able to in five or six months. If you try to reach goals that you physically aren’t ready to reach, you’ll frustrate yourself, and it won’t encourage you to keep running. Worse, you could develop a physical injury that forces you to stop running again until it’s healed. Focus on starting slow and steadily working up to whatever your goal is. It’s a marathon, not a sprint! Whenever anyone tries to make a lifestyle change, it can be challenging to keep it up. A new habit such as running makes demands on your time and energy. Most people quit their New Year’s resolutions 10-14 days into January. If you want to go beyond starting to run and actually keep running, you’ll need to get past that two week mark. Studies suggest that it takes 21 days to form a habit. If you can do that – that’s just 9 runs/walks if you’re running 3 days a week – there’s a good chance your habit of running may stick. The important part is staying consistent. Figure out how many days you’re going to run each week, and do that. Really do that. Three days is a good routine for people who are just starting to run. You may want to say that you’ll run Monday, Wednesday, and Saturday to give yourself rest days, or you may want to give yourself flexibility so that you can run any 3 days of the week (as long as they aren’t back-to-back) to adjust for weather, etc. 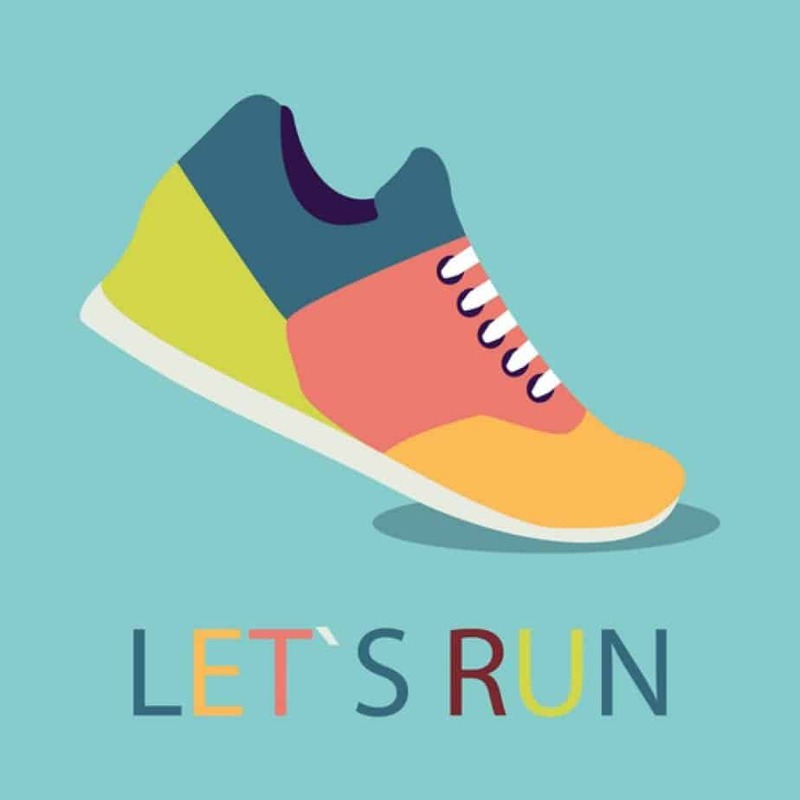 Signing up for a 5k may be a great way to encourage you to stay in shape, as you’ll have a goal to reach. After you hit your goal, don’t slack off! Build on the fitness you worked so hard to develop, and set another goal. Keep up your focus on staying in shape. Finally, just try to do a little bit more than you did before. Even if you walked 30 seconds less than you did last time, it feels good because you know you accomplished something! At some point, you will max out, but that point is far away, and finding that point is one of the most rewarding challenges in fitness. Just keep gradually and gently pushing yourself a little bit harder each time, and you’ll soon start to see results. As the saying goes, Rome wasn’t built in a day, and you won’t have a beach body overnight, but give it some time, and you will. I used to be a super-skinny thing with basically no muscle, and I started strength training along with running. In just two months, I could see much more definition and actual muscle! That alone encouraged me to keep at it because I didn’t just feel better – I also looked better. If you run with your phone, instead of listening to music try a running app. There are a ton out there. The classic C25k app is a great way to start a running program. You gradually build-up your runs until you can go for a 5k run or compete in a race. Another great option is the Aaptiv app. This running and workout app has a variety of workouts that use real fitness trainers to guide you through each run. There are different skill levels and various types of music. It’s a unique way to keep your runs fun. We wrote a full review on the Aaptiv app here. In the end, one of the best things you can do to start running when you’re out of shape is to develop healthy habits to replace your unhealthy habits. They say that if you don’t have something to replace a bad habit with, you’ll just go back to the bad habit by default. So give yourself an alternative! Don’t forget to focus on better eating in the midst of starting to run. I personally started to focus on my diet, because I knew it would help me in my running. That’s a big part of life to change, and at first I was skeptical that I would like it. But, soon enough, I was eating better, had more energy for my runs, and was seeing my body change for the better. And I’ve found a whole new assortment of delicious meal preparations, to boot. I found that I was most successful with whole wheat pasta and pesto sauce. It was simple to boil spaghetti noodles on the stove and then slather the noodles with pesto. This easy go-to meal helped me to avoid making excuses about eating better. Also, be sure that you’re drinking enough water. How much is enough depends on a lot of things, but in general, around 64 fluid ounces, or half a gallon, is a reasonable target. The simpler something is, the more likely I am to keep something up. So I don’t really want to have to count ounces through the day. A friend recommended to me that I take my 28oz Blender Bottle and drink two of those a day, meaning I only have to fill up once. That, combined with other drinks I have during the day and fruits and veggies (many of which are mostly water anyway) gets me around that goal. Although I’ve tried several times throughout the years to make sure that I’m drinking enough water, I’ve been most successful this time. The reason why? It’s manageable. Figure out a solution that is going to work for you in terms of drinking water. Maybe you’ll want to get two Blender Bottles like me and drink 2-3 of those a day. Maybe it’s drinking an 8oz glass of water after every time that you use the restroom. Whatever it is, figure out what works for you. Finally, doing even the simplest things like stretching every day and icing your feet after runs can make a world of difference as you start to build the habit of running. By stretching, even on days you don’t run, and icing your feet after runs, you’ll help prevent injuries. Plus you’ll feel great. It’s going to be a challenge to alter your habits and start running if you’re out of shape, but remember that drastic change require drastic change. If you want to get in shape, you’ll have to work to get there, no matter how slowly. But you can do it if you take it one day at a time! Need a challenge? Our FREE 30-day Running Challenge is the perfect way to start running. This 4-week program is made specifically for new runners. It starts you off slowly and gradually builds up your fitness. If you have been thinking about a Couch to 5k program but found them too intimidating, this 30-day challenge is a perfect introduction. Complete this challenge and you’ll be primed for C25k success! Get the 30-Day Run Challenge for FREE! Get a FREE copy of the 30-Day Run Challenge. Enter your best email and we'll email you the PDF.